Have some wooden beads at hand? You can make a lot of interesting things of them and it will be super easy because such crafts don’t require any special skills. 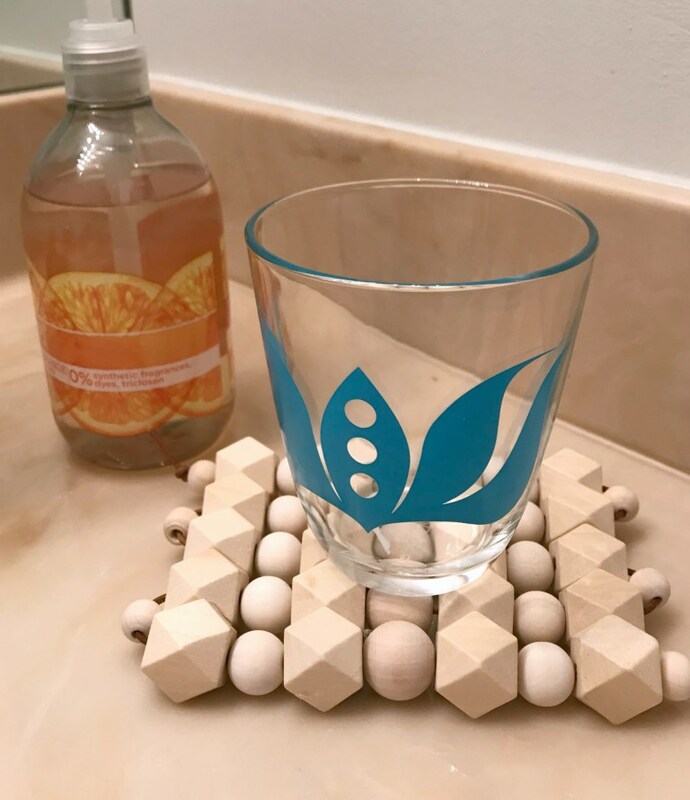 Trivets, coasters, chandeliers, mirrors and much more – all of these items can be made of wood beads! Such chic crafts won’t require any special decor or painting, they are nice as they are. Let’s take a look at some tutorials. 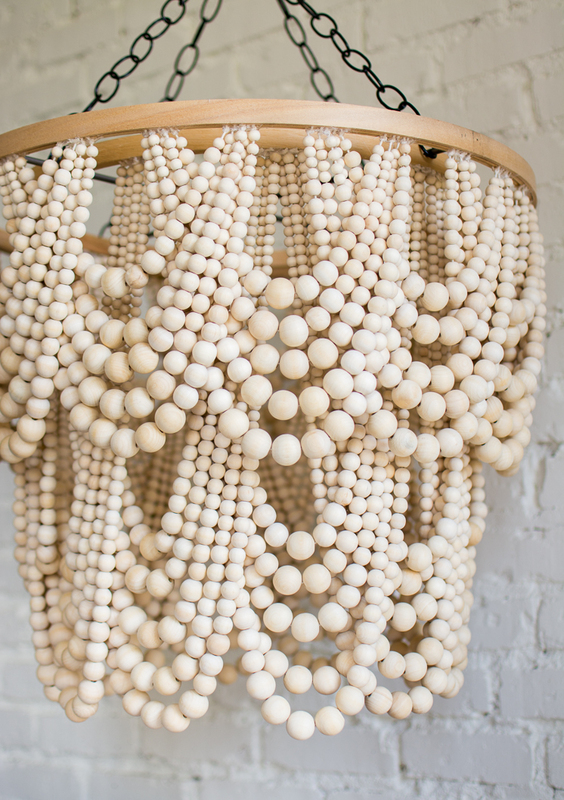 A chandelier of wooden beads is a cool and bold piece to rock in any interior, from super glam to rustic. Making such a chandelier is very easy and fast and the result is cool! Here the authors didn’t paint anything but you may give a color to your chandelier. Read how to make it and enjoy the look of the glam piece with style. This large and chic wood bead chandelier looks really impressive! It’s so cool because of amazing beads of various sizes and the strands are attached to the base to create loops that look very glam. The chandelier has several tiers for leaving a cool impression, I love the final piece! 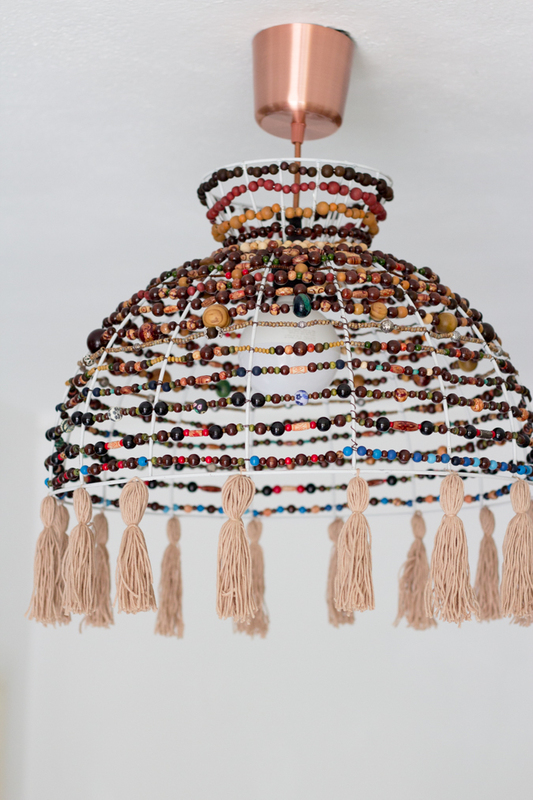 The chandelier is done in a natural wooden shade, though you may give the beads any finish or color. Enjoy! This colorful lampshade is also made of wooden beads. The idea is to take an old lamp with a wire base, remove the existing lampshade and put some beads on it. The author decided on colorful beads and put them on the wire rather randomly, you may do the same or create various color block effects. Add tassels and your boho chic lamp is done! 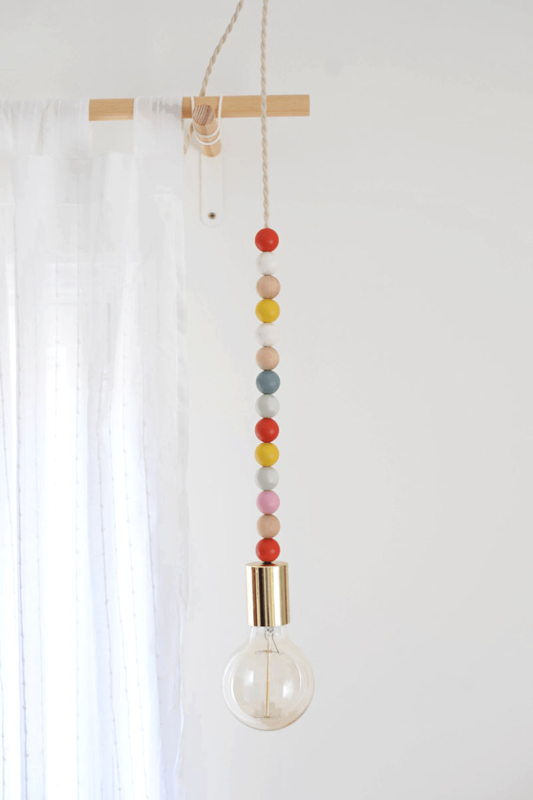 This craft is about sprucing up a usual pendant lamp – there’s a cool way to add wooden beads to it. 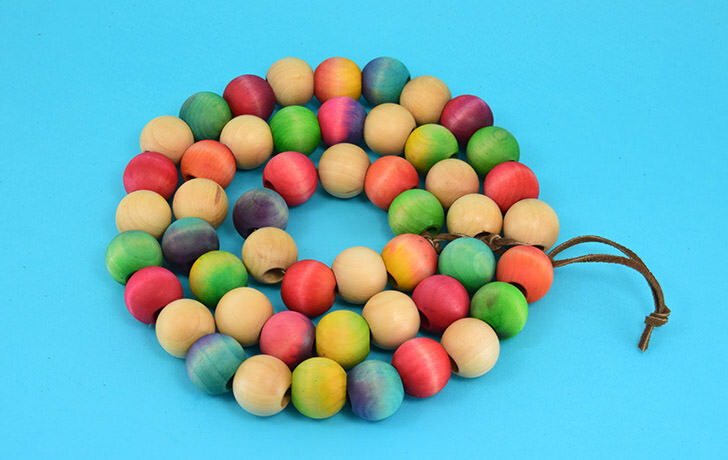 The main thing is to find oversized wooden beads, they will be the key to success. Put them on the cord of the lamp and voila! 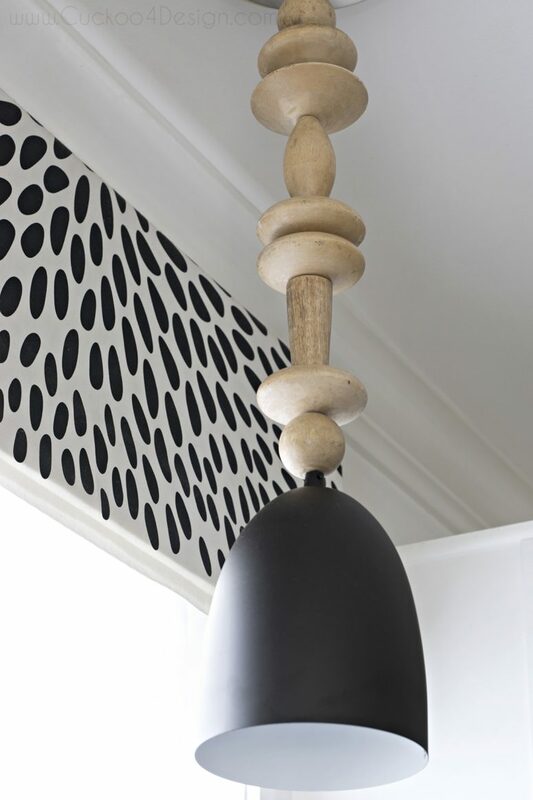 if you leave the beads neutral, you’ll get a minimalist look, if you paint them somehow, the effect will be different. This craft is similar to the previous one but here the cord is thin and the beads are smaller, too. Take any colorful beads of your choice and put them on the cord, and voila! For a more neat look, take beads of the same color or just refinish them to achieve the look that you like. Get inspired and spruce up a usual pendant light. 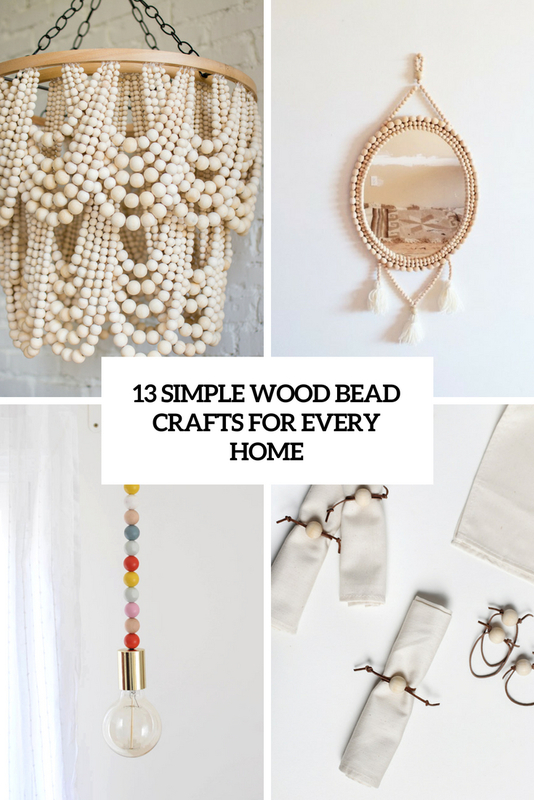 Wooden beads are perfect for realizing such crafts! Just put some wooden beads on the threads or cords and form the coasters of the size you want, and here the cord is neon, which makes the pieces more colorful. You may also add tassels to the edges if you like. This large wood bead trivet will save your tabletops and counters from unnecessary. Paint, dye or leave the beads natural to match any kitchen and put them on leather cord to form a circle. You may also create trendy ombre effects using beads of various kinds and shades or try a color block effect. What I love about these coasters is the trendy geometric touches. The coasters are made of usual and polygon shaped beads put on leather cording, and polygon beads make them look cool. Finish the beads as you like or paint them or just leave them natural. 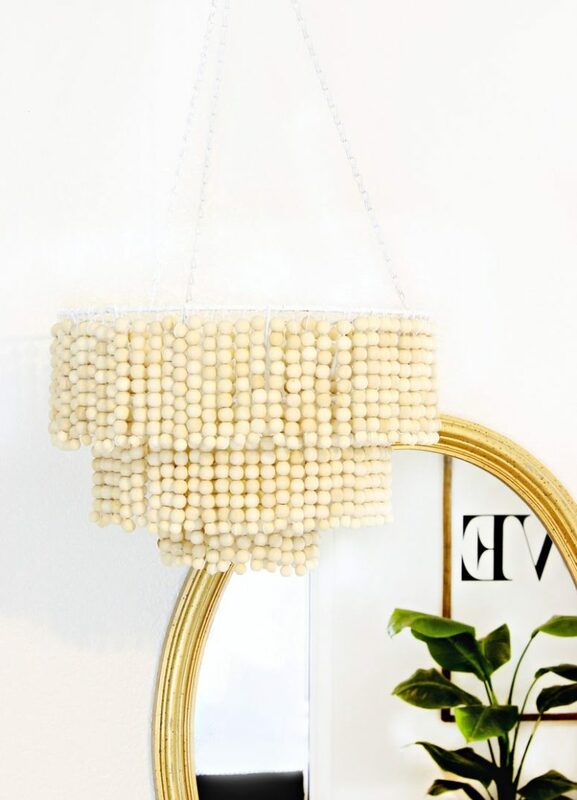 This cool mirror is framed with wooden beads! First of all, decide on the size and color of the beads that you gonna use, put them on some cord and frame your mirror. How to attach this frame to the piece now? Read the tutorial to find out how to do that. 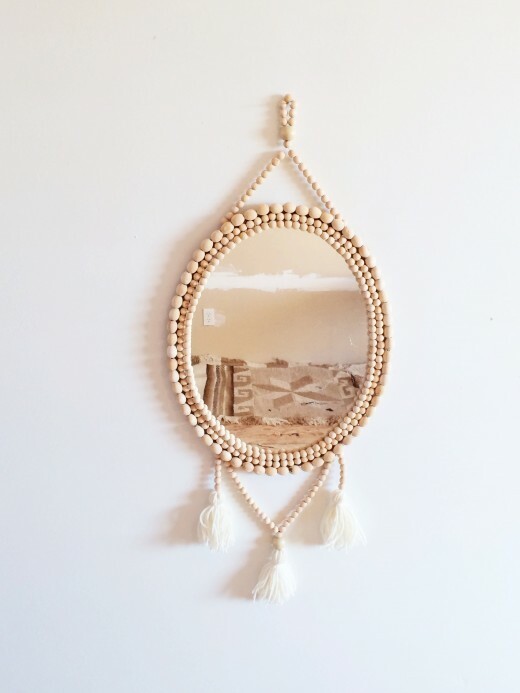 This cool little mirror looks very boho-like thanks to beads and tassels added as framing. The frame of the mirror is made of three rows of wood beads of various sizes and an additional loop on top plus an additional decoration with tassels under the mirror. 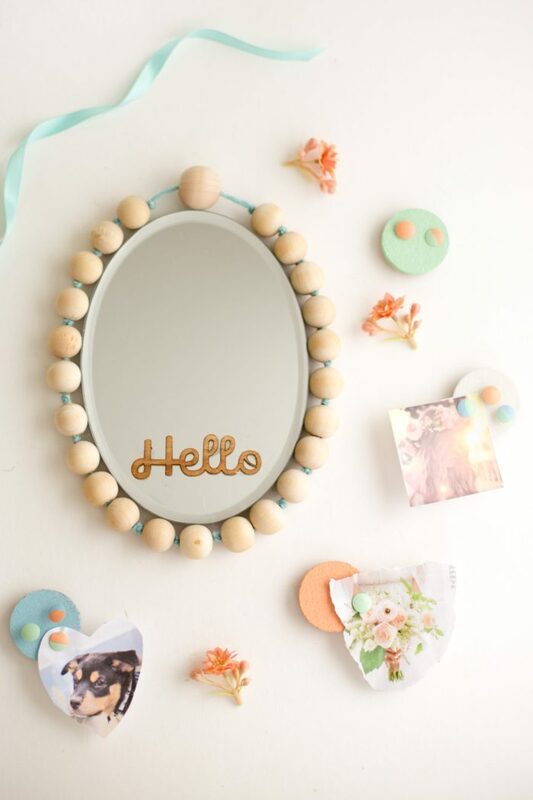 Read how to make the mirror frame of beads and how to attach it to the mirror itself and enjoy! 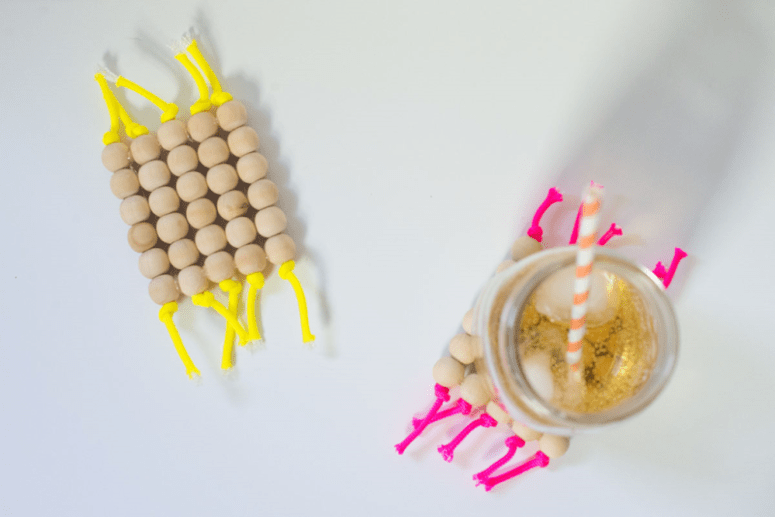 This creative candle holder is made of wooden beads and some cord, nothing else! The trickiest thing here is to cut out enough space for candles inside the larger beads, all the rest will take little time. 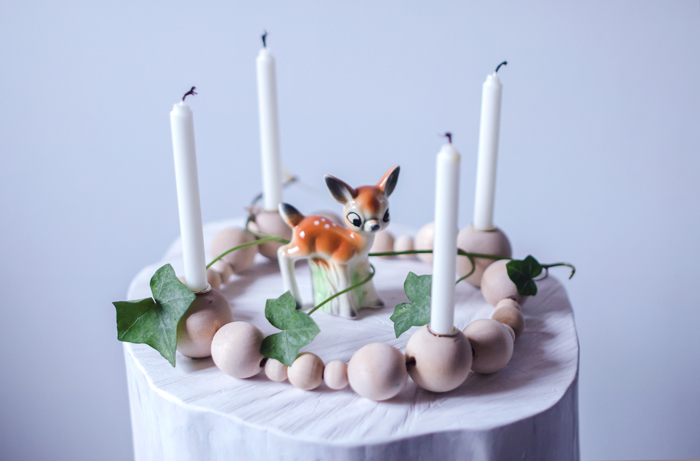 Here the author accommodates 4 candles but you may make it bigger or larger and vary the shapes. How to make simple boho chic napkin rings? Take some leather cord and large wooden beads and paint them if you want. 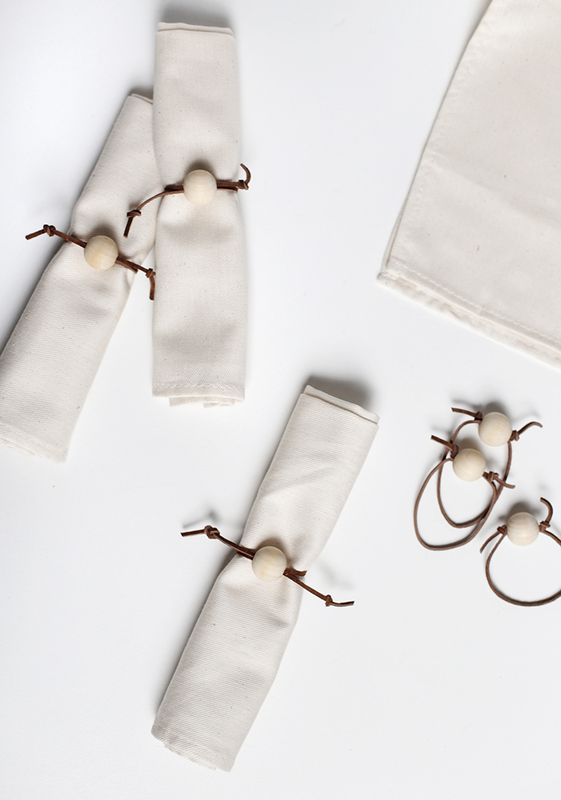 Place a large beads on each leather cord piece and tie the rings on the napkins. Voila! The craft will take a couple of minutes and that’s it, so if you don’t have much time, it’s ideal. 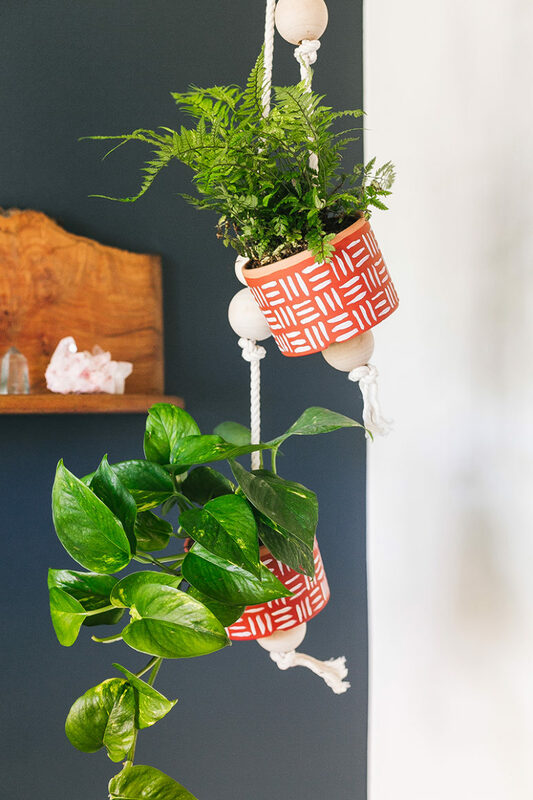 Usual and boring pots can be easily turned into chic hanging ones on rope with beads. This tutorial will tell you how to paint the pots, attach them to rope and add wooden beads for a cooler look. Read how to make the whole combo and hang some plants to the ceiling. Enjoy!